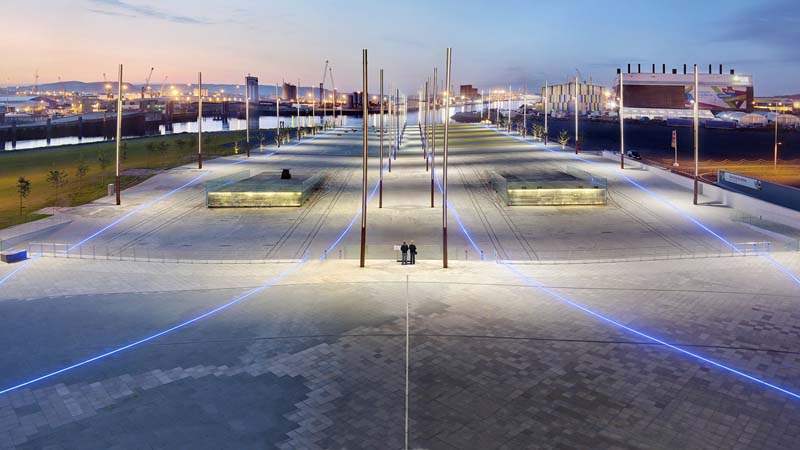 Walk the very slipways Titanic and Olympic were built and launched and explore a life size plan of Titanic’s upper deck. The positions of the liner’s lifeboats, funnels and benches are positioned exactly as they would have been on board the deck of Titanic. The outline of the sister ships illuminate at night and are the perfect space to reflect.